The secret: estate sales, flea markets, thrift stores. And they’re fun! For some folks, having the perfect set of home entertaining “ware” is a matter of inheritance. If you are one of the lucky ones to have inherited crystal, china, and silver–family heirlooms–then you have my envy. Not me, not my mother. She didn’t want anything that my grandmother had. To be honest, I have no idea what my mother passed up and certainly don’t know what happened to those pieces. My parents preferred a very casual form of home entertaining, so the thought of polishing silver and washing crystal and fine china was just too much of a hassle. I get it. I have great friends who love to entertain like that – no silver, crystal, etc. and they throw some of the best parties around! One couple not far from me—celebrity film writers—own the biggest collection of mismatched vintage Melmac ware I’ve ever seen. It’s really something to behold. They even have some pieces that date back to the 1940’s. It’s very cool and is completely their style. 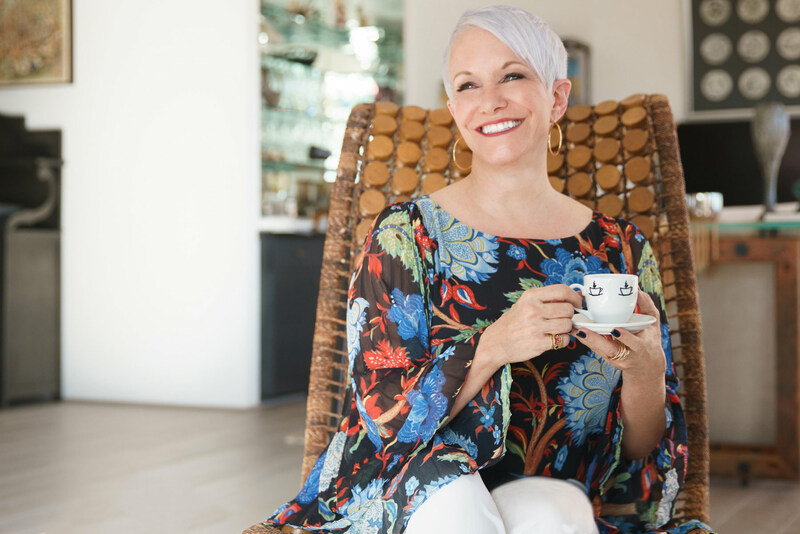 I love to mix and match items on a dining table or buffet as well—but my style is more along the lines of silver, crystal, and fine china – sometimes mixed in with more casual items when the mood strikes! They don’t all match and they’re not all from the same time period. But, that mix of different styles, patterns, and materials creates lots of interest for my guests, so they’re great conversation starters. You never know when someone will point out an item that they love and want to know all about it. Even if I don’t know the exact story of that particular piece I do know where I got it and that starts the fun. So, if you like finery or really any particular entertaining style, and if you’re like me with no family heirlooms, there’s the joy in finding different pieces while building a collection, adding to what you have, and replacing what gets broken (it happens). And, there’s no better way to do that than going to estate sales, flea markets and second-hand resale shops. Estate sales can be found by simply googling – you will come up with a great website like Estatesales.net. This site is convenient. You can search by state and then zip code for estate sales that are happening in your area. There’s also Hughes Estate Sales here in Southern California where you get into whole collections of great pieces provided in a controlled environment. They start on Fridays but I really like to go there on Sundays when the discounts are the biggest! This is where I found my Lalique juice glasses that you can see on my recent video. Flea Markets can also be fun. I recommend checking Google for the best ones in your area. In Southern California, the one I like best is the Rose Bowl Flea Market, which happens on the 2nd Sunday of every month. Flea markets are hit and miss— so, don’t be sad if you go and you don’t find anything that day – there’s always next time. Bring along a friend and plan to spend some time looking around and having some fun while you’re at it. Here are some basic collector tips that I’ve picked up along the way. For either estate sales, flea markets or second-hand shops, be willing to take your time going through what’s there. Understand that just because on one day you find nothing doesn’t mean that the next week there won’t be a treasure waiting to be discovered. Don’t go out looking for a perfect set of 8 or 12. In these venues, items are very often odd numbers in a set. For instance, I found a really nice set of nine etched crystal goblets at a Denver second-hand shop. That’s okay with me—my table only seats 6! It helps to set goals. Think about what you need to build your collections. Maybe look at patterns, designs, and styles ahead of your outing: so easy to do with the Internet. Get familiar with types of things that you like and price ranges that you’re willing to pay so that you don’t spend a lot of time with dead ends. And, always remember, silver turns black if not kept polished–so don’t be afraid even if the item is blackened. Pay closer attention to the overall quality of the article in terms of damage (dents, missing parts, and so on). If you find a tray you love, but the silver plate is worn out in some areas–don’t worry- you can always have silverware re-plated at a fraction of the cost of new. Most of all, make it fun and bring your found treasures home with great stories to tell your guests.